Never go into a partner’s office empty-handed. Make sure you take a pen and pad and take copious notes while you’re there. What is the deadline? Try to get specifics. “In a few days” may mean something different to one person versus another. 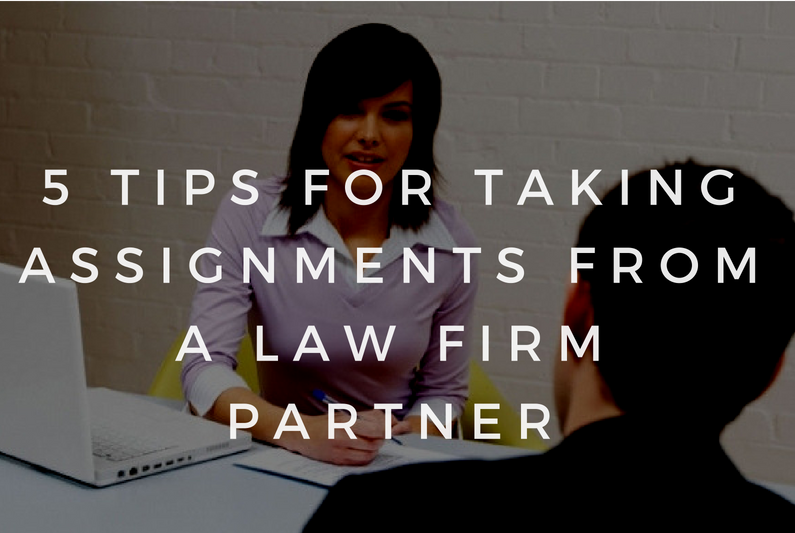 Also, it might be a good idea to ask if the assigning attorney would like a progress report before the assignment is due. A progress report will provide an opportunity to review your results and inquire about additional facts or whether there are other resources you may have missed. Get a sense of the approximate amount of time the assigning attorney wants you to spend doing the research. There may be many reasons why an attorney may want an associate to limit the time spent on a project. Also, find out what sources are available for you to use. Can you use the firm’s paid subscription service to perform research on the project or should you stick with print or freely-available sources? How would the assigning attoney like the answer back? Would they prefer your answer as a verbal explanation, an interoffice memorandum or an e-mail? Is there a specific format for the document you are creating at the firm? Does the assigning attorney have an individual foratting preference? Does the assigning attorney have a sample document so you can match their writing style? Ask questions preferably before you leave the initial meeting. Repeat the instructions to ensure you have everything down correctly. Older PostMade a Bad Hire? Now What?